Abhijñā (Skt., Pali, abhiññā; Tib., mngon shes, མངོན་ཤེས་) has been translated generally as "knowing," "direct knowing" and "direct knowledge" or, at times more technically, as "higher knowledge" and "supernormal knowledge." In Buddhism, such knowing and knowledge is obtained through virtuous living and meditation. In terms of specifically enumerated knowledges, these include worldly extra-sensory abilities (such as seeing past and future lives) as well as the supramundane extinction of all mental intoxicants (āsava). 1 2 3 Rhys Davids & Stede (1921-5), pp. 64-65. ↑ Bodhi (2000), e.g., SN 45.159 (pp. 1557-8). 1 2 Walshe (1985, 2007), passage 56, SN 45.159. 1 2 Hoiberg, Dale H., ed. (2010). "Abhijñā". Encyclopedia Britannica. I: A-ak Bayes (15th ed.). Chicago, IL: Encyclopedia Britannica Inc. p. 31. ISBN 978-1-59339-837-8. ↑ SN 27.1 (Thanissaro, 1994). ↑ Orientalia (2007); Rhys Davids & Stede (1921-5), pp. 64-65, 115-116, 121-122, 272, 288-289, 372, 432; Thanissaro (1997). ↑ Thanissaro (1997). 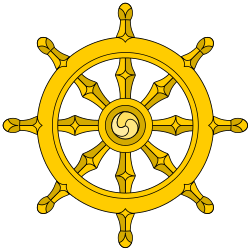 Other discourses that mention the six types of higher knowledge include the Kevatta Sutta (DN 11), the Lohicca Sutta (DN 12) and the Mahasakuludayi Sutta (MN 77). 1 2 3 Encyclopædia Britannica (2007). ↑ See, for instance, Rhys Davids & Stede (1921-25), pp. 307, 617. ↑ Thanissaro (1998). Other discourses that mention the three include the Tevijja Sutta (DN 13) and the Bhaya-bherava Sutta (MN 4). "Abhinna" (2007). In Orientalia: Eastern Philosophy, Religion and Culture. Retrieved 2007-05-18 from Orientalia: http://www.orientalia.org/dictionary-Buddhist_Dictionary-definition22811-abhinna.html. Rhys Davids, T.W. & William Stede (eds.) (1921-5). "Abhiññā" in The Pali Text Society’s Pali–English Dictionary. Chipstead: Pali Text Society. Retrieved 2007-05-18 from Digital Dictionaries of South Asia: http://dsal.uchicago.edu/cgi-bin/philologic/getobject.pl?c.0:1:1696.pali. 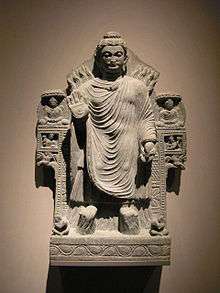 Thanissaro Bhikkhu (trans.) (1998). Maha-Saccaka Sutta: The Longer Discourse to Saccaka (excerpt) (MN 36). Retrieved 2007-05-19 from: http://www.accesstoinsight.org/tipitaka/mn/mn.036x.than.html.